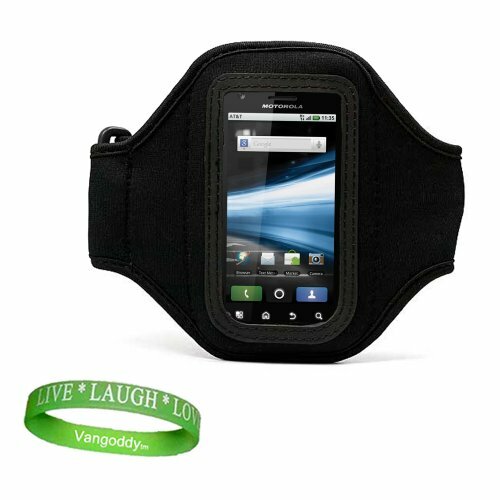 Quality BLACK Motorola Photon 4G Armband with Sweat Resistant lining for Photon 4G (Sprint) Android Phone + Live * Laugh * Love VanGoddy Wrist Band!!! Double stitched perfect-fit neoprene exercise armband!!! Neoprene armband is built to withstand sweat and tension!!! Armband allows listening to your smart Phone, while exercising!!! Armband is built to withstand any amount of physical activity!!! Perfect for any exercise: running, weight lifting, even jump roping and bike ridding...ect!!! If you have any questions about this product by VG, contact us by completing and submitting the form below. If you are looking for a specif part number, please include it with your message.